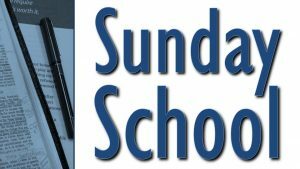 Outreach through Sunday School? Yes! Our church has realized that our first responsibility from Jesus is to bring the gospel to those who live near to us. Therefore, we have been organizing our small group Bible study ministries to begin working together to share Jesus in our own town through city events, social gatherings, and in talking with their friends and neighbors. 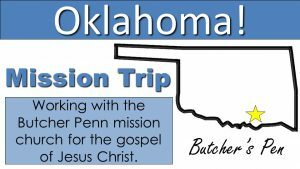 Each year in the Summer, a caravan of vehicles travels to a small, rural area in Oklahoma called Butcher Penn. The mission team helps the Butcher Penn church with Vacation Bible School, door to door evangelism, and some small home improvement jobs. Every time we go, our church is never sure who is built up more… the mission field or us. Trinity’s Alaskan mission trips are through Grace Works, a strong evangelical missions ministry led by a former Trinity pastor. The work is hard, but the scenery is beautiful, and the opportunity to minister among un-reached neighborhoods and people groups is what keeps bringing back Christians to serve in this state. Our Alaskan mission trip occurs during the summer each year.